At East Fortune we are able to offer many aspects of engine, airframe and electrical overhauls and repairs. 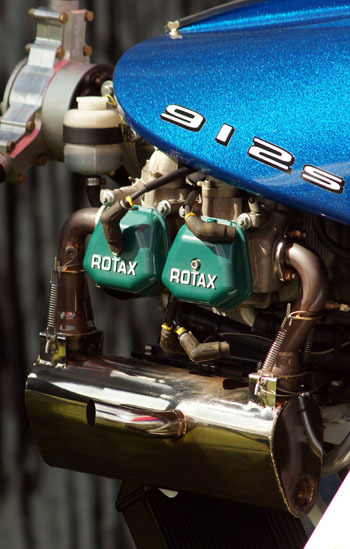 Gordon Douglas, on top of his many years' experience as a pilot, instructor, inspector and check pilot, is also a Skydrive-trained engineer (UK distributors of Rotax engines). He has actually been doing engine repairs since the age of 10, when he started driving karts competitively (he was British Champion in 1980) and what he doesn't know about 2-stroke engines probably isn't worth knowing! Other aspects of airframe and electrical work can also be carried out. Please call for further details, prices etc.